Next summer, long time supporter and Urban Synergy Trustee Eddie Nestor will be climbing Africa’s highest peak Kilmanjaro to raise money for several worthy charities including Urban Synergy. 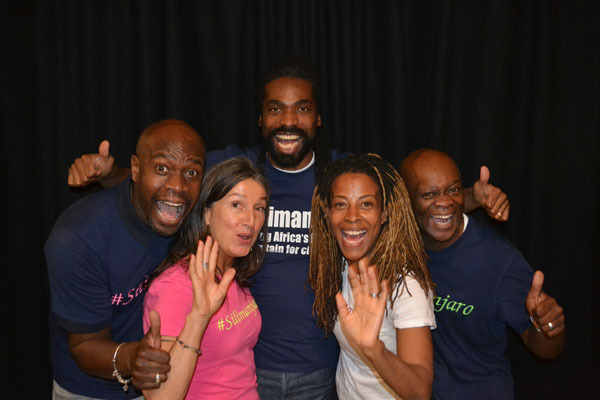 Along with comedy partner Robbie Gee, Mrs. Nestor, their manager Sarah Moore and fitness instructor Dave McQueen, they will begin their ascent of Kilimanjaro, via the Machame route, a journey that will take 6 days. All sponsorship will be evenly split between McMillan Cancer Support, ACLT (Afro Caribbean Leukaemia Trust), Urban Synergy and The Rudolph Walker Foundation. There will be more fun events between now and July to help raise awareness, so please support them wherever possible.